​The property was originally the site of the Jackson County Courthouse, built in 1872. It housed the police station and the county jail. In 1886, it was devastated by a tornado that followed along the path of the Missouri River. Later a portion of the site was mile marker zero for Kansas City Southern Railroad.Every track of line was measured from this location. A small building occupied the Southwest corner of the lot and housed the entry facility into the rail yard that was further west on Second Street. The original building (west brick building) was constructed in 1910, the owners of this building were O.C. Evans and E.H. Peppers, co-owners of O.C. Evans Wholesale Produce Company. 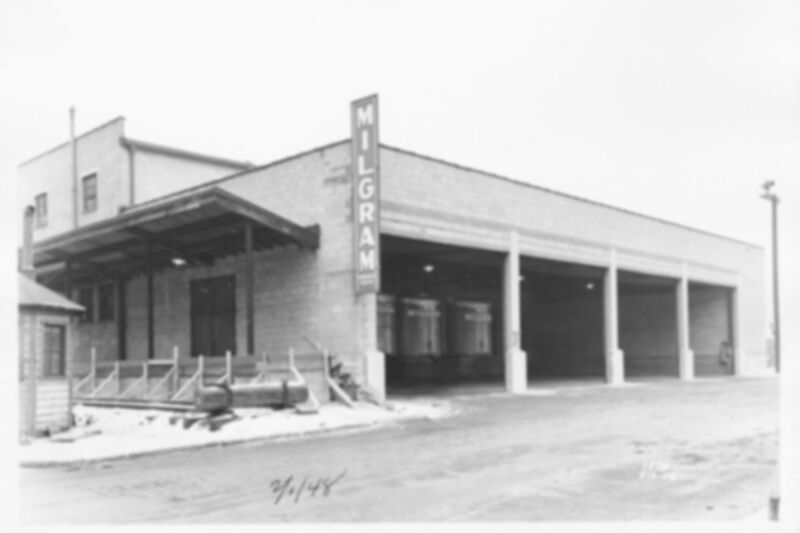 On February 13, 1946, Milgram’s grocery chain announced plans for the alteration and addition of the middle and east buildings on to the O.C. Evans Wholesale building. Milgram Foods remained at this location until 1970 at which time Quality Tomato Company took over and occupied the space until 1975 when Robinson Potato Supply then took over occupancy. The sign for the Potato Supply can still be seen on the east façade. Joseph Gallo with the Gallo Produce Company owned the building until 2005 and was using the property as its original use, a produce cold storage warehouse. In 2005, Chris Sally and Jonathan Arnold formed a partnership with Cordish to purchase and redevelop the property. Cydney Millstein assisted in placing the property on the National Register. Clockwork Architects designed the renovation and WC Construction completed the renovations. River Market Event Place has occupied the east facade since 2010 as an event venue. What are those steel stalks outside the buidling? In 2008, the City of Kansas City re-built Second Street, and public art was commissioned by the Chicago artist, Stuart Keeler. The name of the installation on Walnut is “Apparent Systems” The stalks at first glance remind one of the grasses at the river's shore, a link to the area's natural history.